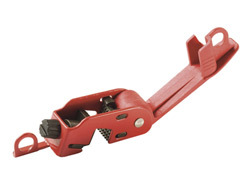 These can be used on most circuit breakers where the switch protrudes. They simply slide over the top of the switch handle, securing it in place. 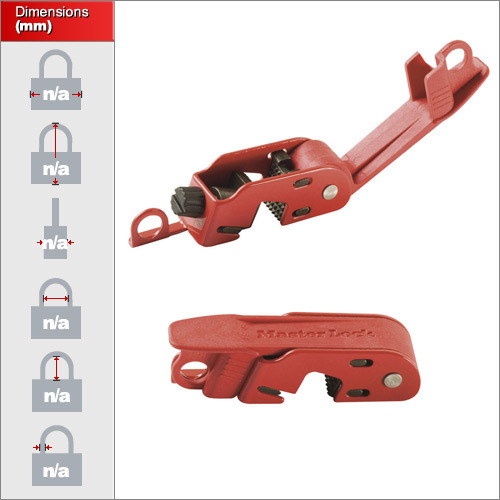 A single lock or multiple locks can then be added with the help of a hasp. There are two types available. 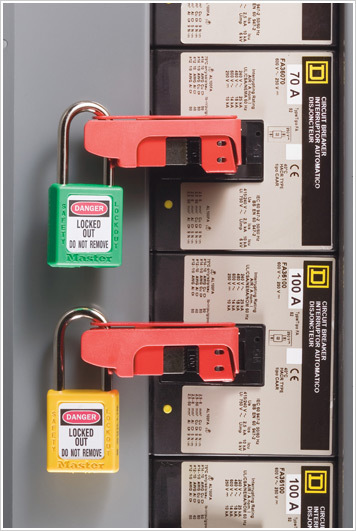 A closed type for standard size switches and an open type for tall or wide switch toggles typically found on high voltage breakers. Both are the same design but the open design allows taller switches to protrude through the height of the unit if necessary.